Agree with Don. Maybe I'll bloom yet. Lovely flowers, so sweetly framed and presented here. Unlike Mindy and Donald, I'm just not going to bloom. I was killed off by a late frost. ;^) I'm also mildly disturbed. Heh heh. Love the shallow dof, beautiful shot. 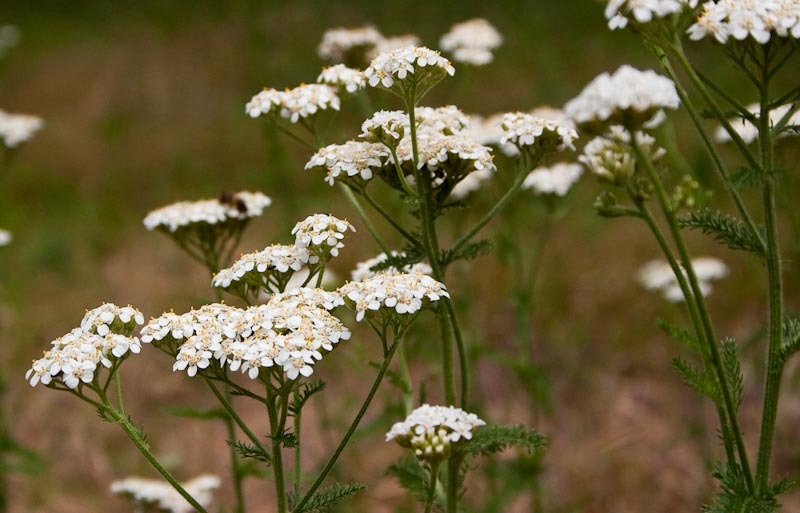 Yarrow is also very good to grow if you work around people a lot, or at least that's what I've read. I really like this image - it's beautifully composed and the white looks so fresh against that soft background.